Arndt Büssing (*1962) qualified as a medical doctor in 2010 and is now a full professor at the Witten/Herdecke University (Germany) for “Quality of Life, Spirituality and Coping”. He was an Associated Cooperator and Relator of the Pontificial Council of Health Care Workers from 2012 to 2014. Further he was a senior research fellow of the “Freiburg Institute for Advanced Studies” (FRIAS) from 2012–2014, and has been an associated researcher at “IUNCTUS—Competence Center for Christian Spirituality”, PTH/School of Theology M ¨unster since 2016. 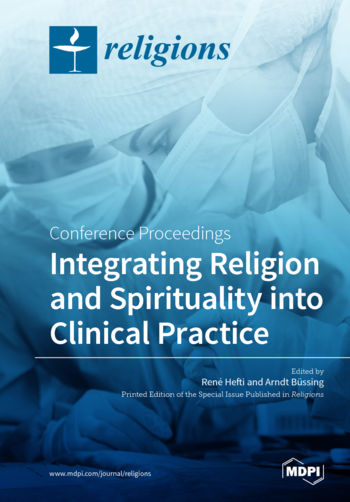 He is on the board of directors of the International Society of Health and Spirituality (IGGS), an editorial board member of the German Journal of Oncology, of the journal Spiritual Care, and of the open access journal Religions.